Ctrl + Tab * Cycle Through Multiple Drawings: Much like Alt + Tab let’s you cycle through different applications, Ctrl + Tab lets you cycle through your open drawings. Ctrl + Pg Dn Cycle Through Tabs: Want to switch between layout tabs without ever touching the mouse? Use Ctrl + Page Up or Ctrl + Page Down to cycle through the layout tabs in your drawing. Use in Microsoft Excel to cycle through worksheets. Ctrl + N * Create New Drawing: Like running the QNEW command. Ctrl + C * Copy Uses arbitrary insertion point. Ctrl + X * Cut Deletes from the drawing, but places items on your Windows clipboard. 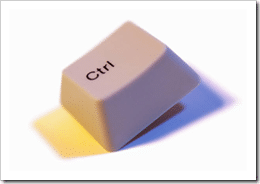 Ctrl + Z * Undo Perfectly placed in the lower left corner of the keyboard, I hardly use U for undo anymore. Ctrl + A * Select All Selects every object in the drawing. Warning, do not combine with Delete key. Ctrl + E Isoplane Used for 2D isometric drawings. 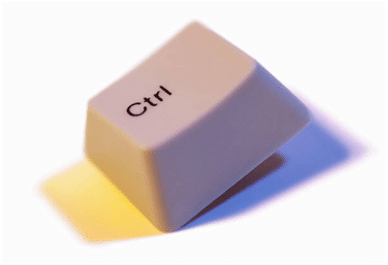 Ctrl + Enter Exit MTEXT Editor and save changes. On a side note, Microsoft has a KB article listing the standard keyboard shortcuts for Windows. Edit (5/12/09): Corrected Ctrl + L listing from OSNAP to the correct ORTHO toggle. Added Ctrl + Enter to Mtext category. In general I like to avoid using the function keys except F8 ortho. It would be nice to attach the function keys to some custom macros or scripts. In general I prefer using the menus but I have customized some key strokes for my favorite commands that I may not want to fish for in the menus. There is also Ctrl-R to cycle through active Viewports, in a Layout with multiple Viewports. Tim – Good tip, thanks for the comment. @ SENTHILKUMAR – I totally agree with your opinion on the function keys, as that’s what I generally use myself. Some of the keyboard warriors I work with have actually remapped the function keys to their OSNAPS. It’s not my cup of tea, but it works for them. So who am I to complain? Thanks for your comment. isn’t Ctrl + L toggle Ortho, not OSNAP? @Ben – Yes it is, thanks for the catch! I’ve corrected the blog entry. @ Nathan – Thanks for the additional shortcuts!